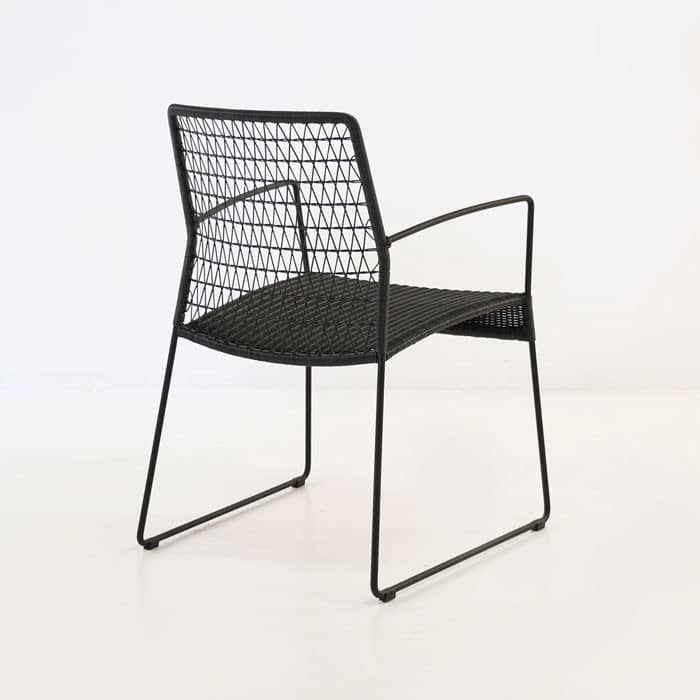 The Edge dining armchair is a stunning minimalist chair with a black powder-coated steel frame and Ecolene® synthetic outdoor wicker. Available in black, the Edge armchair is dark, bold and svelte – the epitome of minimalist styling. 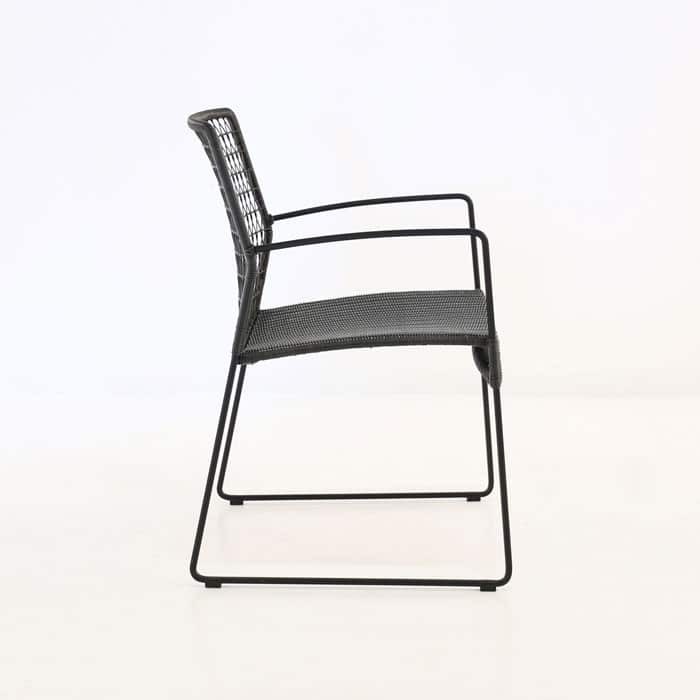 The thin frame of the Edge dining armchair belies its strength and durability. 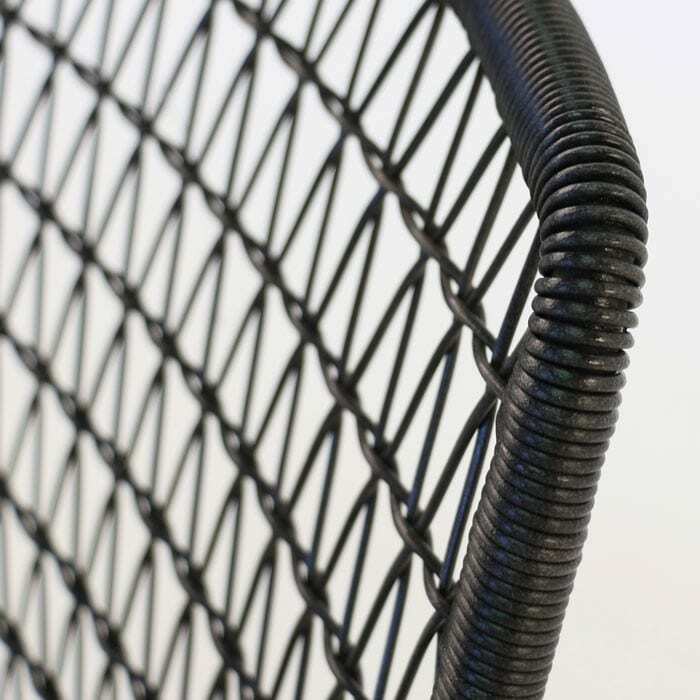 The intricately woven wicker around its sturdy steel frame looks and feels like natural rattan, yet the Ecolene® fibre is a modern-day reincarnation that has been specifically designed for the outdoors. It’s more durable and insensitive to temperature changes and free from cracking, splintering and peeling. An open weave on the back of the chair and a tighter weave on the seat lets the chair ‘breathe’ – allowing for air to flow freely, keeping you cool during the hot summer months. 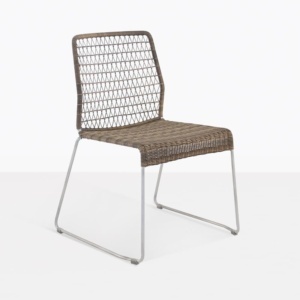 The Edge dining armchair is lightweight and versatile, with an under-stated formality and slim profile. 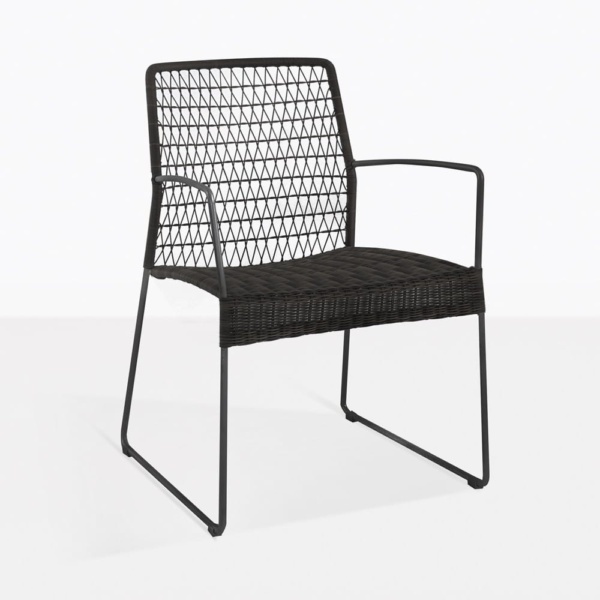 For a relaxing outdoor dining experience, the Edge’s discrete arm rests provide added comfort.